Hindu’s holiest month Savan or Shravan has started from 28th July and today is the first fast of this auspicious month, according to the Hindu calendar. This year, the Shravan month has begun from 28th July and will continue till 26th August. In this holy month, devotees devoted Lord Shiva. On every Monday of this month, devotees observe fast. According to the Shiva Purana, those who observe fast in this Shravan Maas, Lord Shiva will bless them and fulfilled their desires. As we all know that Rudraksha symbolizes Lord Shiva, therefore, wearing rudraksha this month is also auspicious. 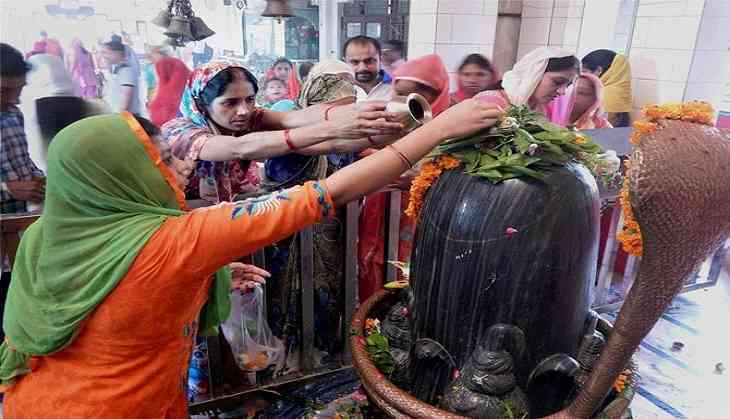 As per the believes, unmarried women, who pray and observe fast this month will get a good life partner like Lord Shiva while married women do it for the good health and wealth for their family. However, people can’t fast for the whole month therefore, every Monday is observed as a fast day for the devotees. 1. People can eat or drink the food made up of milk like curd, tea, burfi. 2. Devotees can eat permitted foods like sabudana, rajgiri atta, sweet potato and nuts. 3. Many people eat food only one time while some eat twice, it depends on the strength of an individual. 4. Wake up early in the morning to offer prayers to Lord Shiva. 5. Visit the temple every day to offer prayers. 6. Recite Om Namah Shivaya mantra while doing pooja. 7. Read vrat katha every Monday. 1. Don’t eat food made up of onion and garlic. 3. Don’t eat non-veg food and also egg. 4. Don't drink alcohol during the holy month. 5. No shaving during Sawan. 6. Don't breakfast in between. 7. Don't kill snake during Sawan.